This weekend I helped plan a princess party (for adults, because I was way too much of a tomboy in my youth to have a princess party back then). I wanted to make cupcakes, but I wanted to make something simple. I finally found this recipe after quite a bit of looking. The recipe wasn't complicated and didn't require any weird ingredients. 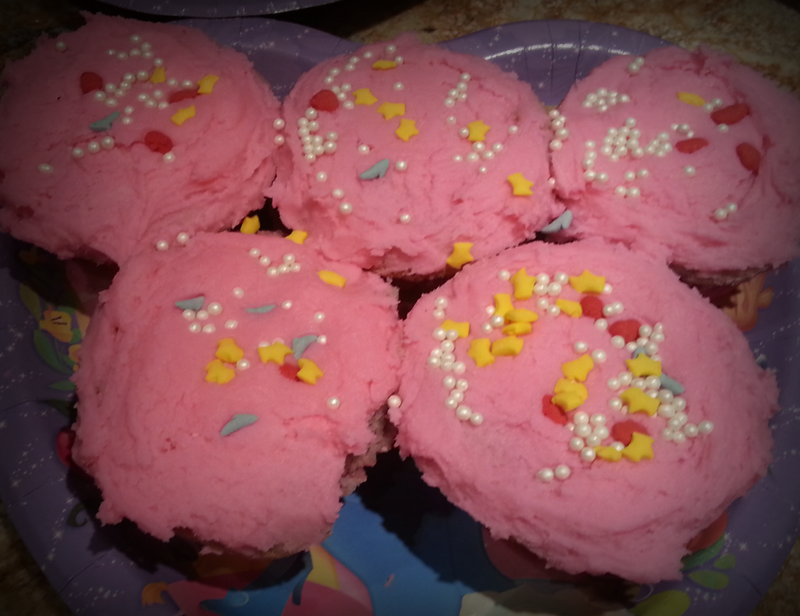 The original recipe yields 10 cupcakes, so I doubled the recipe, which worked out great. 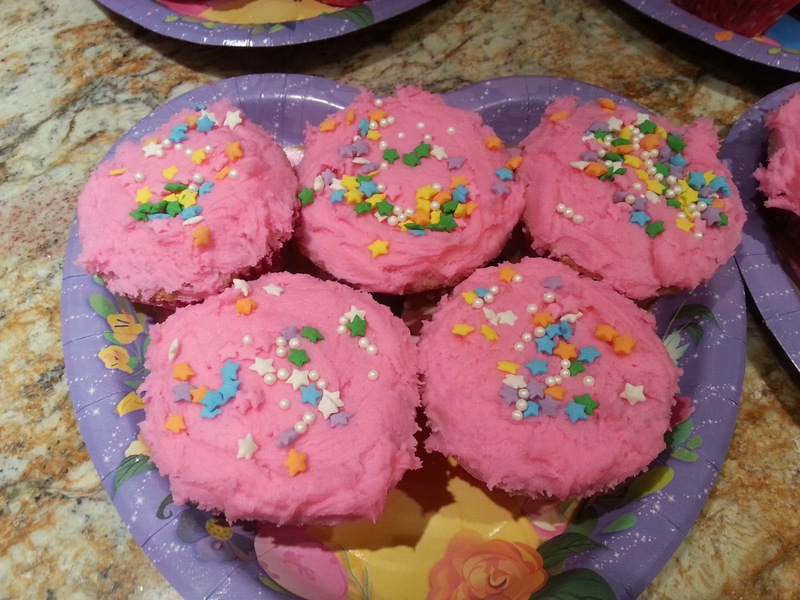 The cool thing about making these vanilla cupcakes was that the batter and icing were both white, so I used food coloring to make the cake purple and the icing pink to make them as princessy as possible. 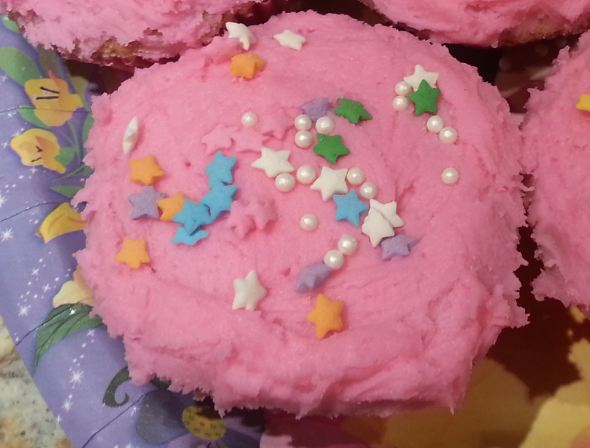 My friend Angela then used some awesome princess sprinkles I brought to complete the decorating. 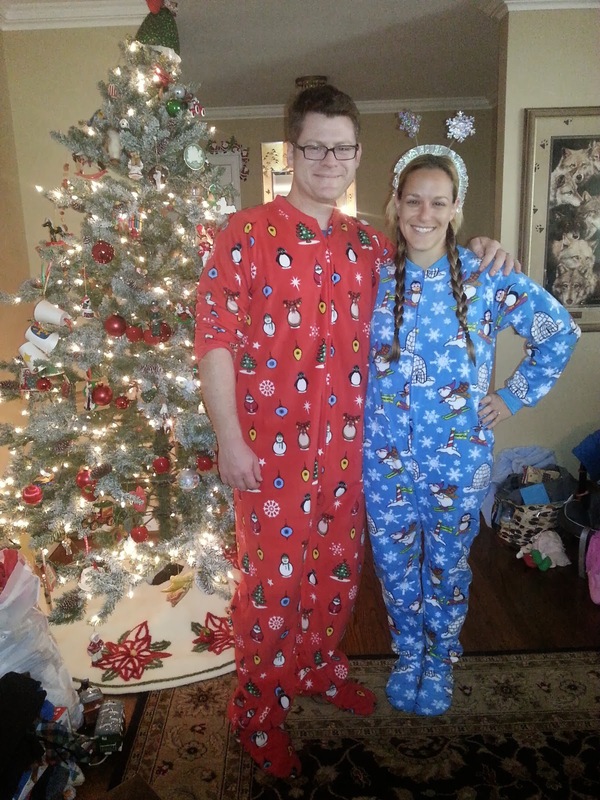 We were mimicking some of the poses behind us, but you can't see them so we kinda just look goofy. 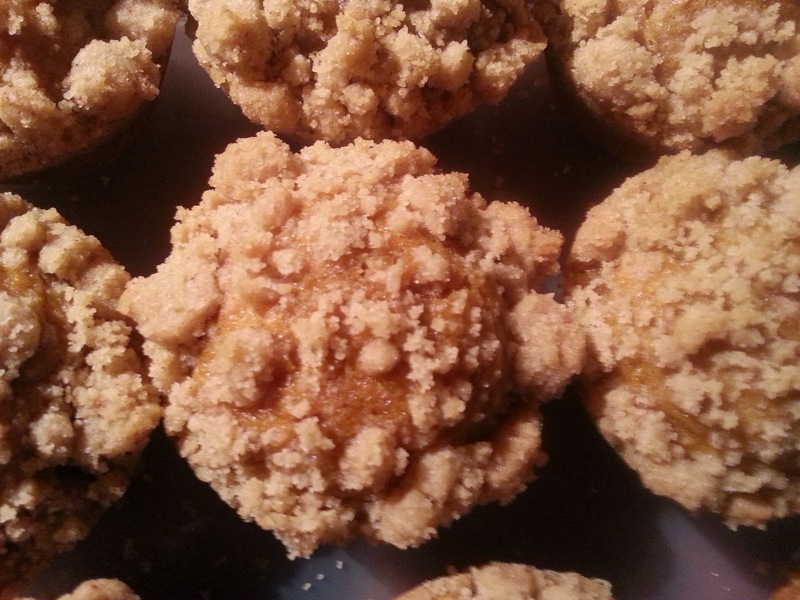 Combine flour, baking powder, salt, sugar and butter in a mixer on slow until the mixture is a sandy consistency. In a separate bowl, whisk together the eggs, vanilla and half of the milk and set aside. Slowly add the remaining half of the milk and beat until just incorporated. Now add the egg, vanilla and milk mixture to the mixer until just incorporated. Scrape the sides of the bowl and continue mixing until batter is smooth. Mix in food coloring to desired color, if desired. 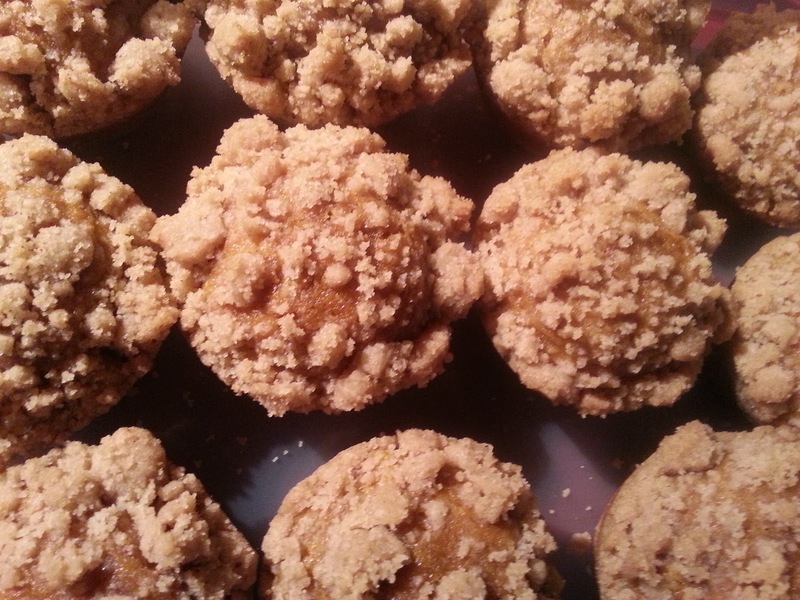 Spoon the batter into paper lined muffin tins, filling them about 2/3 full. Bake for 20-25 minutes or until the cake bounces back when touched. 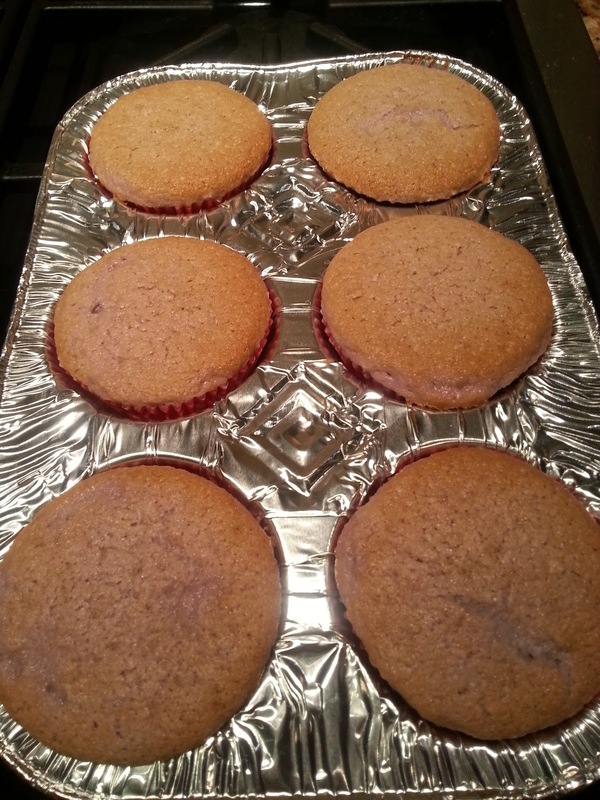 Let them cool for a few minutes and then set them out on a wire rack to cool completely before icing. Combine milk and vanilla in a small bowl and set aside. Beat powdered sugar and butter in a mixer at medium-slow speed until well mixed. Reduce speed. Add milk mixture to the sugar mixture a few teaspoons at a time until all ingredients have been incorporated. Increase speed to high. Continue mixing for about 5 minutes or until the frosting becomes light and fluffy. Mix in food coloring to desired color, if desired. 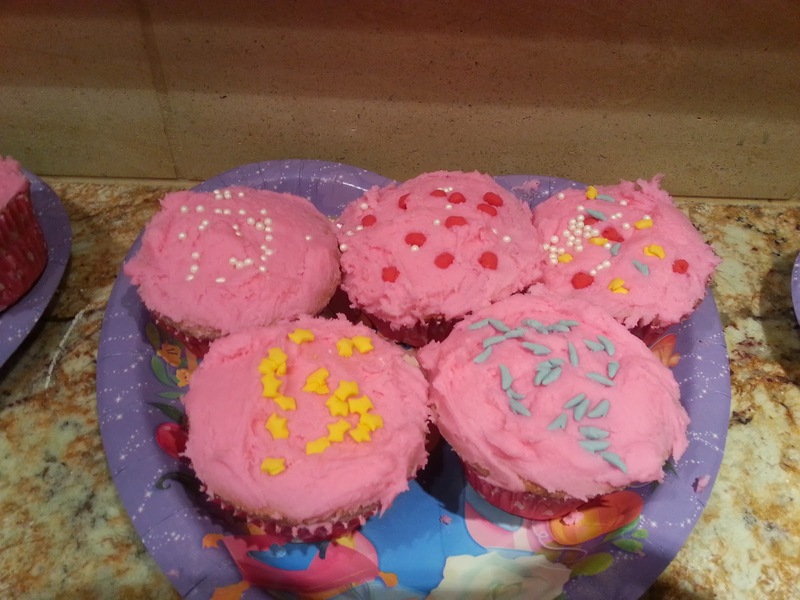 Top the completely cooled cupcakes with the frosting and add sprinkles or decorations as desired. *I apologize for how terrible these pictures are. Because rum. 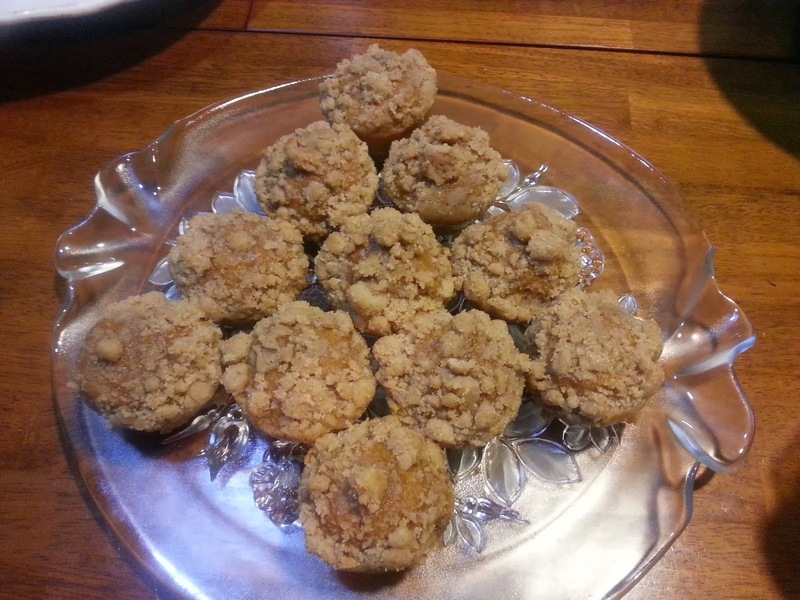 I found this recipe on a blog that I follow, High Altitude Bakes. I thought the muffins looked awesome, but then I realized that the recipe called for hazelnut - and I can't stand hazelnut (which is really unfortunately because I really love the idea of Nutella). I decided to modify the ingredients to my own liking, which was fortunate, because it turns out that both my MIL and SIL don't care for hazelnut either. 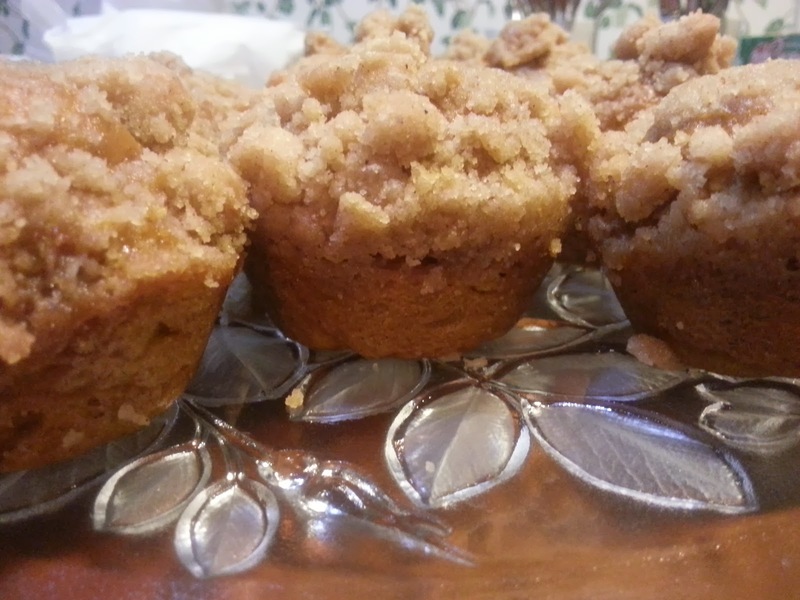 I was nervous about the results, since the original recipe calls for 1/2 cup of ground hazelnut. A HALF CUP! Yikes. Fortunately, my modifications worked out just fine. My FIL ate one of the muffins the night before, which I found out while I was arranging the muffins on the tray for our buffet breakfast. I would love to say that the design was on purpose, but it was purely by happy accident. 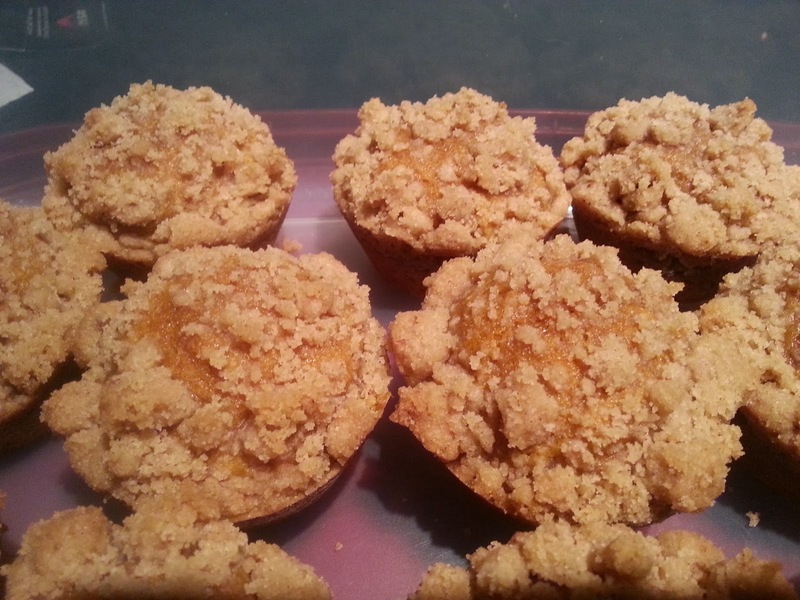 The amount of crumble made for this recipe is enough for 2 batches so I saved the leftover crumble and made these New Years Day. They were so good still warm from the oven that when we ate them throughout the week we heated them up in the microwave. In a saucepan, melt butter. Add sugars, flour and spices. 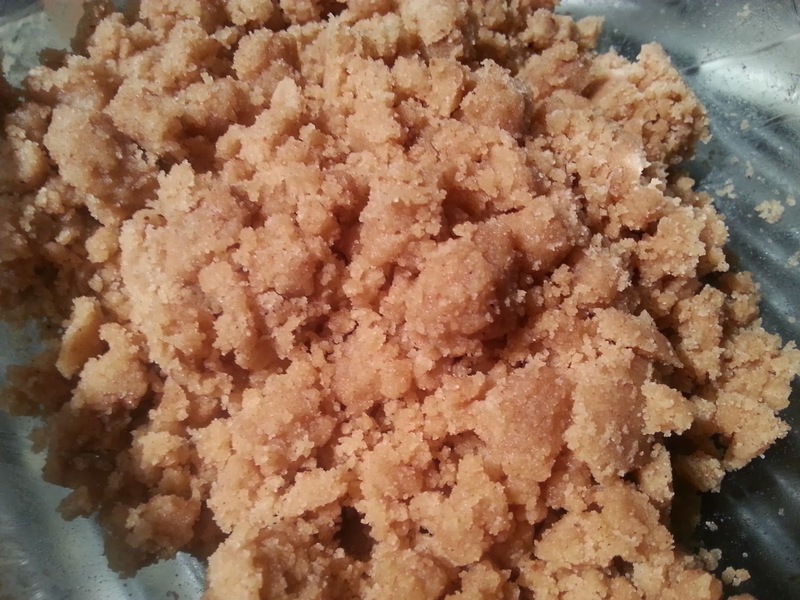 Mix until flour is moistened and mixture presses easily into crumbs. This makes enough for two batches, so you can refrigerate the leftovers and use the next time (or for something else). Preheat oven to 350. 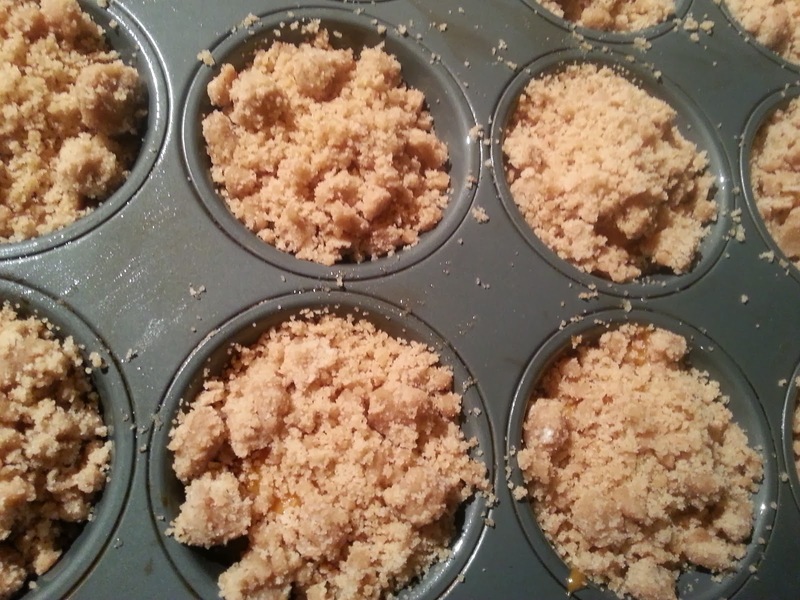 Grease muffin tin (12 count). Combine flour, baking powder and baking soda in a medium bowl. In a mixer, mix together oil, pumpkin, eggs, spices, sugar and vanilla. Fold in the dry ingredients until just combined. 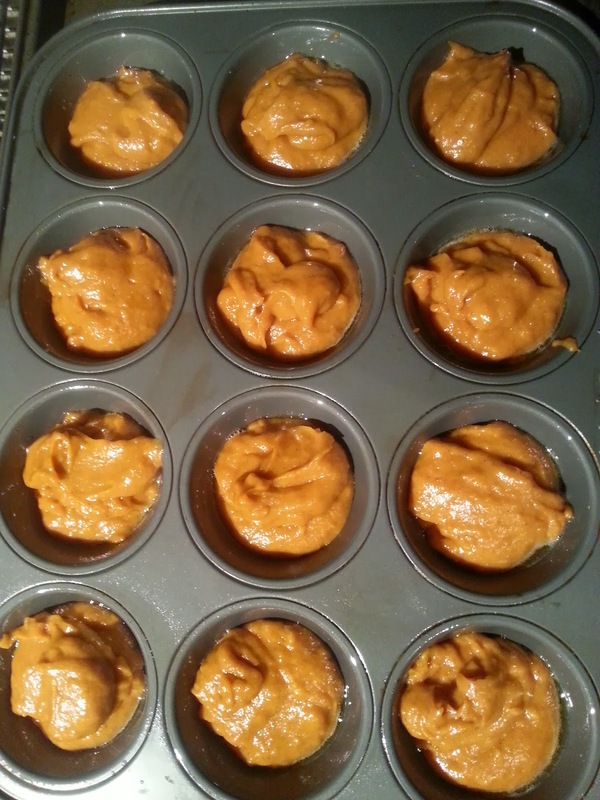 Place batter into muffin tin in equal portions. Cover with crumb mixture. Bake for 15-22 minutes or until the tops spring lightly when touched. I don't normally stray from my baking related posts, unless there is something personal I want to share with the world. But recently, PETA has been making defamatory claims against an organization I have visited, and I felt the need to chime in with my own experience with the organization. In June, I had the opportunity to check out the amazing wildlife rescue, Serenity Springs. I was blown away by this place. They specialize in big cats, but did have some other animals - a wolf, bears. The animals were very well cared for. We spent an hour walking around the facility, hearing the back story on almost every animal. The volunteer conducting the tour was extremely informative and professional, but you could really tell she truly loved the animals. There were many different types of stories as to how the animals ended up at Serenity Springs. Some of the cats had been adopted by families thinking they were cute when they were little, only to realize later that they, you know, turn into real tigers when they grow up. For others, this place was like a really awesome retirement home after they'd been part of magic performances. There were even a couple of retired actors in the mix. 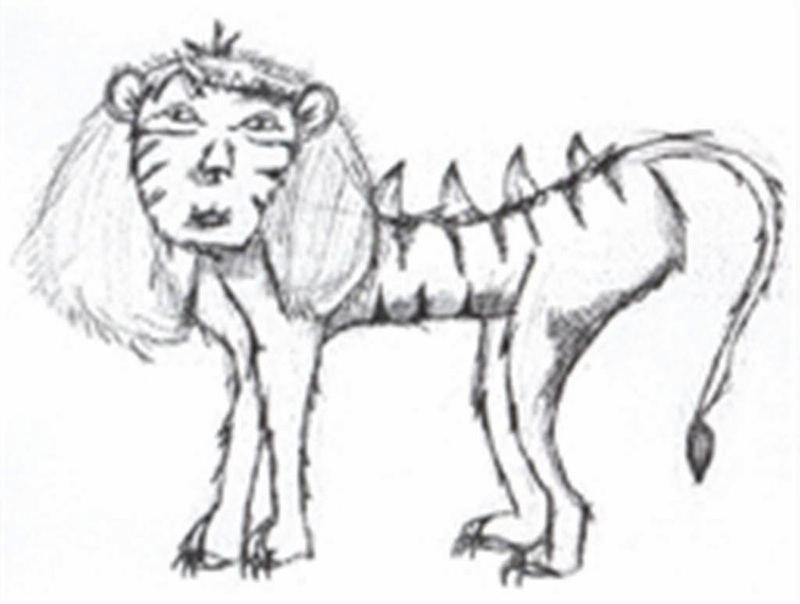 And a liger. It's pretty much my favorite animal. It's like a lion and a tiger mixed....bred for its skills in magic. What really struck me was how content all of the animals were. None seemed agitated or aggressive or unhappy. They were well fed and did not show signs of missing fur. Obviously, I am no expert, but I have a pretty good gauge on what abused animals look and act like. Last year, one of the only things I wanted to do at the Renaissance Festival was ride an elephant, it was all I talked about for weeks. Once at the festival, I walked over to the elephants and they looked so sad and miserable I couldn't go through with it. One of PETA's biggest complaints is that Serenity Springs allows the handling of baby animals at too young an age. According to USDA there is no age minimum for the handling of animals. All I know, is that one of my biggest joys of last year was getting to hold a sweet 5 week old baby tiger named Bentley. Before I was able to handle the cub, I was asked to wash my hands and was briefed on how to properly handle and hold him. And the amount of my contact was no more than a minute or two. Maybe PETA's claims are founded; I don't know. As I said before, I am no expert. I do know that I had a wonderful experience there and I have encouraged others to visit as well, and they too, have had an favorable time. I even found out after my visit that my father-in-law had donated money some time ago to pay for an enclosure. Okay, thanks for reading. I'll step off my soapbox and get back into the kitchen now.